In the U.S., about 50 million children are enrolled in school. Levels range from pre-kindergarten through 12th grade. There are about 15 million students attending universities and colleges nationwide. Children from 5 to 9 years of age visit emergency rooms for playground injuries more than other age groups. Most of the playground injuries sustained by 5 – 9 year olds happen at school. Estimates put the cost of playground injuries at more than $1.2 billion. Boys under the age of 4 are the age group most likely to be treated by emergency rooms for traumatic brain injuries. Emergency rooms in the U.S. treat about 135,000 children 5 – 18 every year for traumatic brain injuries related to sports or recreation. When a student athlete suffers a concussion, he or she is at greater risk for suffering another. Injuries claim the lives of more children in the U.S. each year than any other cause of death. The greatest number of those injuries happen in motor vehicle accidents, but children also sustain serious – even fatal – injuries in other ways. Since kids spend a significant amount of time at school, the likelihood is high that injuries may occur on school grounds. If your child has been hurt because someone else was negligent or acted in a careless manner, you may be entitled to receive compensation. Particularly when injuries are severe and require extensive medical treatment, monetary damages can be vital in ensuring that necessary and expensive care can be obtained. 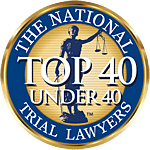 Naples and Fort Myers school injury lawyers at Associates and Bruce L. Scheiner, Attorneys for the Injured, have seen many types of injuries in our years of experience handling such cases. We know that kids can get hurt playing, participating in organized school sports, at the hands of bullies or by other violent means, and because of unsafe conditions of school premises. When your child is injured, you deserve answers about the circumstances involved. Our school injury attorneys in Cape Coral, Naples, Fort Myers and other communities in Southwest Florida have unparalleled access to experts in such fields as law, medicine, investigation, insurance and more. We know how to examine the accident that left your child hurt or took your child’s life. If someone was responsible, our team can determine what happened. Since the shocking events at Columbine, America’s parents have been on alert that schools may unexpectedly become stages for violence. The Centers for Disease Control and Prevention confirms that about 1.5 million non-fatal crimes may affect students 12 to 18 years of age in a year’s time. Theft, fighting, bullying, use of weapons, gang-related violence and other behaviors can leave your child hurt while on school property, on a school bus, at a school-sponsored function, or on the way to or from school. When your child has been hurt because a school failed to adequately maintain property, supervise its grounds, oversee school-sponsored events, or was negligent in some other manner, your child may be entitled to monetary damages. Because injuries may be severe and require costly medical treatment, you want the assurance that your attorney is experienced in recovering compensation for school-related injuries. The school injury attorneys at Associates and Bruce L. Scheiner, Attorneys for the Injured, are accomplished advocates for children in Fort Myers, Naples, Cape Coral, and throughout Southwest Florida. We can evaluate your case at no charge, and if we represent you, we’ll bear the cost of building your case. You pay us no fees unless we win.